The early bird always gets the worm. Heading a household when you’re just in your 20s can be very challenging. It seems like you’ve just graduated and you already have to take care of a home, manage the budget and still save some for a rainy day. The last one is the most difficult. As a youngster you might be tempted to dine out, spend on car refurbishments, indulge in wishful thinking and so on. The last thing on your mind is to start saving for retirement in your 20s. But, what happens when you grow older? Do you want to be left with nothing to help you survive through hard times? Surveys conducted by the Federal Reserve show that income is low and debts are high in households managed by 20-29 year olds. These households are literally living at their financial edge. Imagine the condition if an economic crash happens to hit the country. There would be high levels of unemployment and foreclosure. This is something every 20-something should seek to avoid. Planning for retirement in your 20s is a wise decision; and, learning how to save for retirement in your 20s could be the first step in the right direction. A small calculation will give you a good idea as to how much you can save, prudently. If you start investing $4,000 a year starting from age 22, you will have about 1 million by age 62. That’s a lot of savings! 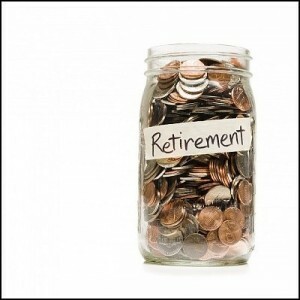 Here are some other ways you can use to increase your average retirement savings. Living with bare minimal expenses is the first step towards great savings. This is the time when you can differentiate the necessities from luxuries. You will be able to analyze your spending trends, and be able to make decisions for cost-cutting that will help you save for the future. This way you will be able to free up some money for the future goals. While this aspect is often overlooked, it is an eye-opener when the situation does arise. If you do not have enough savings and haven’t invested in insurance, think of how you would pay for the costs of an accident or illness. Getting an insurance coverage is a good move. Opt for a plan that allows lower monthly premium with good coverage. 401k plans are excellent. If your employer is offering such a plan, opt for it. Better still is the Roth IRA. If you’re wondering why you need a Roth IRA, there are many reasons: you have amazing tax benefits, money that’s part of your contribution can be taken out anytime, educational costs can be covered or you can invest in a home for yourself. Almost all IRA companies offer the Roth IRA. You can invest up to 80% of your retirement savings into the Stock market to take advantage of the growth of your investment. Consider to opt for a “target maturity” or “lifestyle” fund. This could be the hardest thing to do in your retirement planning. Be strategic. Don’t overspend on your credit card. Minimize your debts by paying off your card’s outstanding amount as quickly as possible. It’s the interest on the outstanding that will drain your balances. However, manage your debt in such a way that you have sufficient funds to manage your other expenses while paying it off. Keep a close tab on your credit score. It matters. If you follow these simple principles, planning for retirement in your 20s will be less burdensome and more responsible.